Hyundai entered the tier of manufacturers when the development of alternatively powered cars is in question. It just recently revealed Ioniq, which managed to satisfy all popular demands for high-tech powertrains, since it is offered as a regular hybrid, plug-in one and as pure EV. And it’s not just about the show, as Ioniq is quite well-executed package capable of seriously hurting Prius’s sales. These types of stories are far from over, as much as Korean’s intentions go, since Hyundai promised 14 new low emission models on the market by 2020 and that is just three years away from now. One of those has been previewed at Geneva Motor Show in the form of 2017 Hyundai FE Fuel Cell Concept. The Korean carmaker has fiddled with hydrogen use for years, making Hyundai one of the leaders in the area joined by Honda and recently Toyota. From the start, SUV lineup was chosen to bear the cost of experimenting, and the first one that emerged in 2001 was Santa Fe FCEV. It was replaced by Tucson FCEV in 2005 based on the first generation of Tucson, and finally, later it switched to the second one when current model Tucson Fuel Cell debuted in 2013 as world’s first mass-produced fuel cell vehicle. It is on sale in 17 countries, and it is about to be replaced with the production version of FE Concept next year. 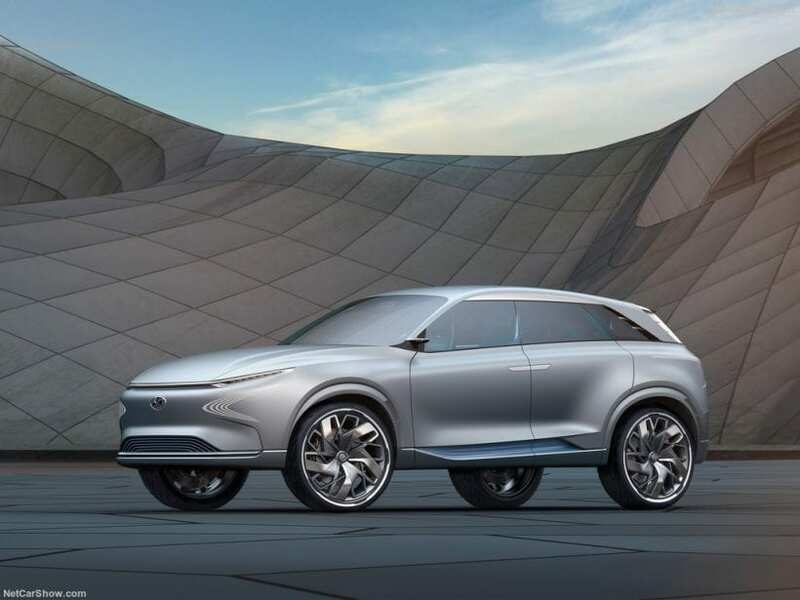 FE is short of Future Eco, which is then very convenient since hydrogen powered vehicles emit nothing more than water from their exhaust pipes. 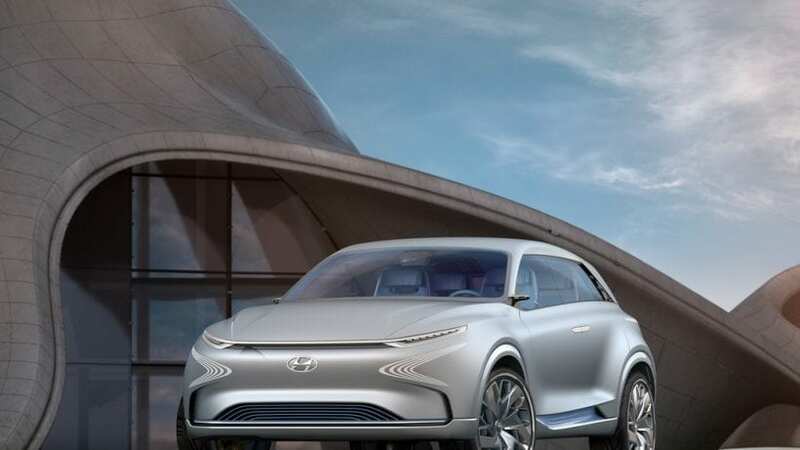 The new model will come with a new generation of fuel cell technology which should be 10 percent more efficient, 20 percent lighter, and most importantly with increased power density by 30 percent. Last part will allow new model to travel almost 500 miles between fill ups or much more than current 265 miles, which is the area where Tucson was lagging behind Honda Clarity‘s 300 and Toyota’s Mirai 312 miles. 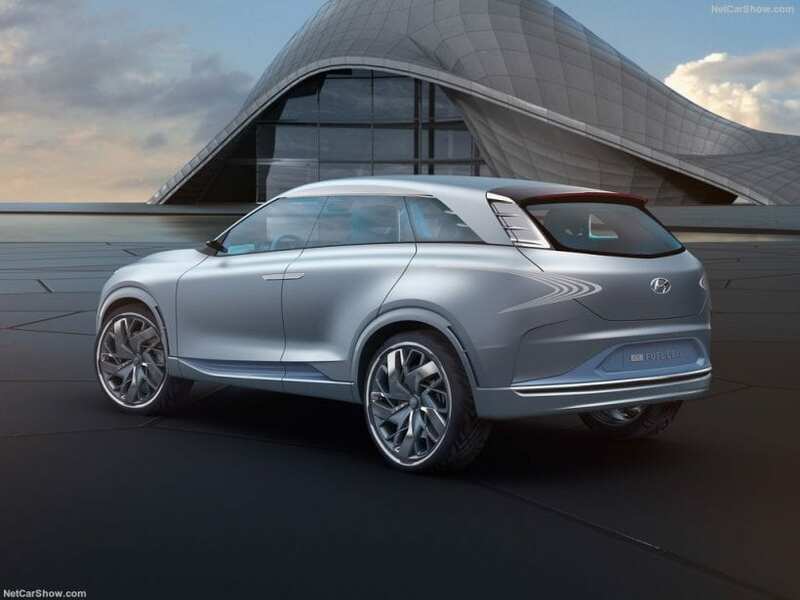 FE Concept is an SUV obviously, keeping Hyundai‘s tradition of choosing that shape for implementing hydrogen technology, but for the first time, upcoming fuel cell crossover is about to receive its own special appearance, leaving Tuscon aside. FE looks promising from the visual point of view, using elegant and soft lines rarely colliding with each other. Hyundai says the style is inspired by nature and water which presumably influenced fluidity clearly evident on the Concept. We are immediately reminded of Fluidic Sculpture design approach, but the first one dubbed as 1.0 since evidently FE Concept negated the second phase of it named 2.0, and brought back again gentler approach. Interior also accepts clean and clear approach void of any commotion. Tech-rich and futuristic side of it are painted in the use of screens for instruments but also for the lower center console, leaving only one larger rotary knob and special controller as physical controls. Expect 2017 Hyundai FE Fuel Cell Concept to influence the design of the production model, but keep it reasonable as suicide doors, lack of buttons on the inside and storage in the boot with charger for electric scooter are not so destined to materialize. Nevertheless, between absurd looking Clarity and especially Mirai, new fuel cell SUV from Hyundai could be the first one capable of attracting you with visual charm, while it also solves current driving range issues. Still, continue to count on enormous price tag reaching over $50k, availability just in certain parts of the world and absolute lack of fuelling infrastructure, compared to gasoline powered things and even EVs. Still, same things apply to rivals, and if hydrogen is your way of helping the planet, Hyundai is about to make the whole deal sweeter.